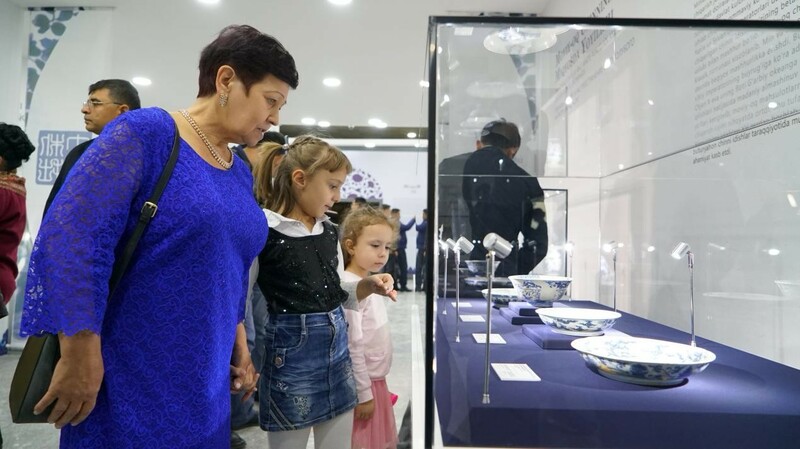 On October 15, 2018, the "Better than ever: the Origin, Development and Exchange of Blue-and-white Porcelain" was staged at the National History Museum of Uzbekistan. The exhibition will last for two months. This cooperation between China and Uzbekistan is the result of the first international seminar on the development of popular science venues under the BRI in last November, and signifies further exchange and communication between Shanghai and Tashkent in science & technology, culture and art on the occasion of the 15th anniversary since the they became sister cities. At the opening ceremony, Shanghai Science and Technology Museum and the National Geological Museum of Uzbekistan signed a memorandum of cooperation to further drive cooperation in exhibition planning and specimen research.